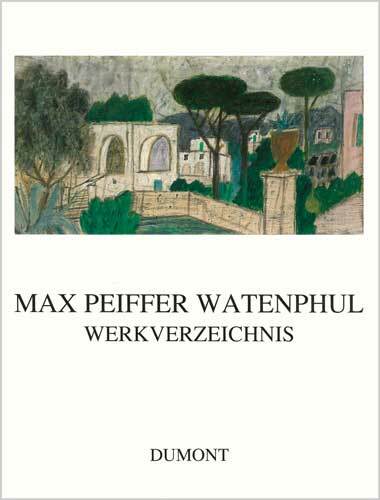 The complete artistic works of Max Peiffer Watenphul are reproduced in the two-volume catalogue raisonné. The first volume encompasses a fully illustrated catalogue of the nearly 800 paintings and 1400 watercolors. The second volume contains more than 1000 drawings, enamel works and textiles, works of graphic art, and photographs. Both volumes incorporate selected letters and writings of the artist to document his intellectual engagement with art and the events of his time. 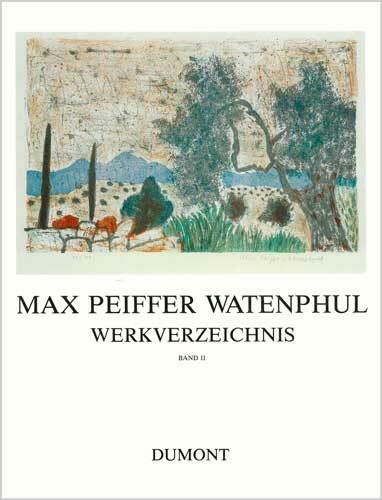 An extensive appendix provides a biography and photographs from the life of Max Peiffer Watenphul as well as indices of exhibitions and secondary literature. Max Peiffer Watenphul. Werkverzeichnis, vol. I, Paintings and Watercolors (preface by Bernhard Degenhart). Edited by Grace Watenphul Pasqualucci and Alessandra Pasqualucci. Max Peiffer Watenphul. Werkverzeichnis, vol. II, Drawings, Enamel Works, Textiles, Graphic Art, Photography (preface by Sabine Fehlemann). On December 23, 2017, just a few months before her eightieth birthday, Alessandra Pasqualucci died at the Pero, which meant so much to her, surrounded by her family and her beloved dog. 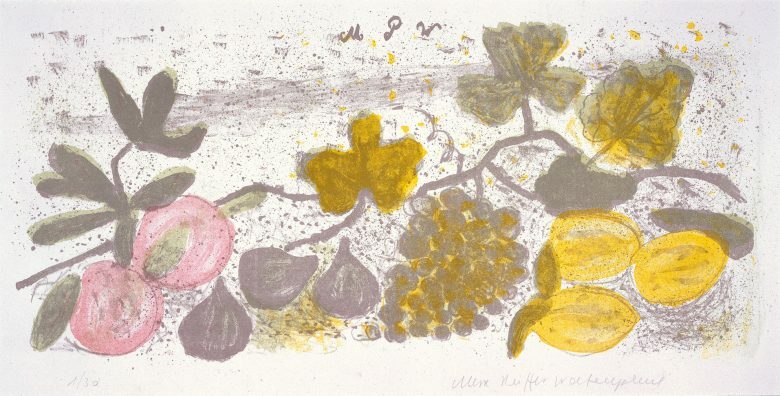 As the author of the catalogue raisonné for her uncle, Max Peiffer Watenphul, which was her lasting life’s work, she could be credited with comprehensively documenting the artist’s work for posterity. Over more than ten years of work, her endurance and nearly fastidious desire helped her to view and chronologically organize the many works scattered across quite a number of private and museum collections. To do this, a great deal of travel was required, which allowed her to make international contacts and deepened her connections to important museums and galleries in such places as Berlin, Hannover, Munich, Salzburg, Weimar, Wuppertal, and many other cities. Born on April 5, 1938, in Latina, Alessandra and her siblings, Diana and Enzo, spent most of the war years in Thuins, near Sterzing, on the Brenner. Having done particularly well in classic subjects such as Latin and Greek, she graduated from the Istituto di Sacro Cuore in Venice, where her family had moved in 1946. That same year Max Peiffer Watenphul wound up in the city on the lagoon, after many adventures rooted in the confusion of the post-war years. In Venice he lived his with sister Grace, her husband, the engineer Enrico Pasqualucci, and the children. her Her proximity to her uncle awakened Alessandra’s interest in the visual arts and influenced it for years. In 1957 / 58 the family moved to Rome, where Alessandra studied Russian, among other things, at the Scuola Interpreti di Roma, which led her to spend several weeks in Moscow. During the years in Rome, the trusting relationship between her and her uncle, whom she revered above all else, grew, and this fueled her passionate interest in his art, as well a deeper understanding of it. She became acquainted with many of his friends at the time and traveled with him to such places as Corfu; she even took one of his famous classes at the Salzburg Summer Academy. 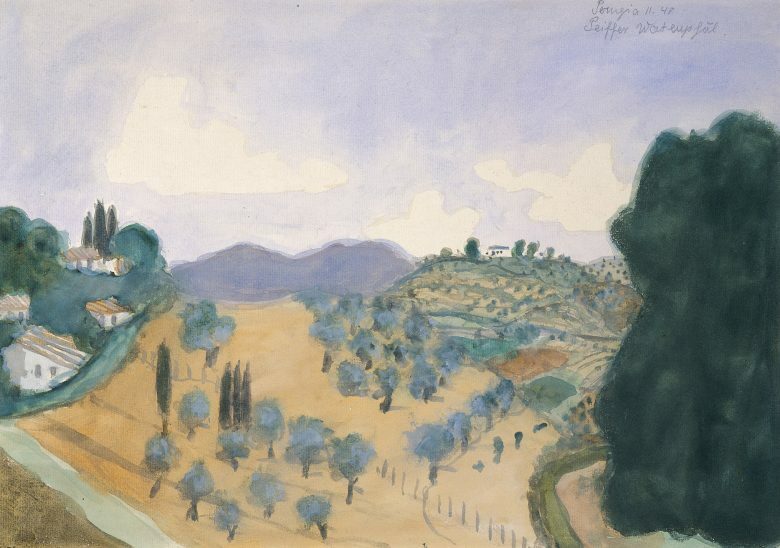 Her close personal and artistic affinity for this painter was ultimately the foundation that enabled her to become the ideal advocate for all of the issues concerning his work in the decades after his death. It is only thanks to her that Max Peiffer Watenphul’s work is still consciously renowned among museums, collectors, and gallerists. Most of the exhibitions that have taken place since the painter’s death in July 1976 were produced upon her initiative, through her contacts and her thoroughly sympathetic, charming stubbornness. Anyone who knew her better will gladly recall her radiant warm-heartedness, her sense of humor, and her mischievous smile, as well as the unique, assertive persistence that she employed to persuade hesitant museum directors of the quality and beauty of her uncle’s art. She spared no effort in doing this, appearing with confidence and perseverance, and she nearly always succeeded in achieving her goal of getting Max Peiffer Watenphul the recognition he deserved. Even though her strength waned a little in recent years, it can only be considered lucky that she was able to champion her cause for so long, as she defended and supported one of the most refined of aristocrats among the German painters of his generation against all of the art world’s changing fashions.